Given that it’s mere months away, we now know some more details about Halsey’s second album, and it sounds like it was inspired by science fiction and heartbreak. It was announced recently that Halsey was set to release her sophomore record hopeless fountain kingdom (we’ve been told that it being lower case is v. important) on June 2nd. The singer, who released her debut record Badlands in 2015, has become one of our fave new artists, and is not afraid to share parts of her life with her fans, whether it’s discussing her endometriosis or standing up for women’s rights at the Women’s March. Well, now Halsey has been teasing her upcoming second album, and the inspirations behind it are pretty far reaching. Despite the sci-fi setting, however, the singer said that much of the material was inspired by a long-term, real-life relationship that came to an end. 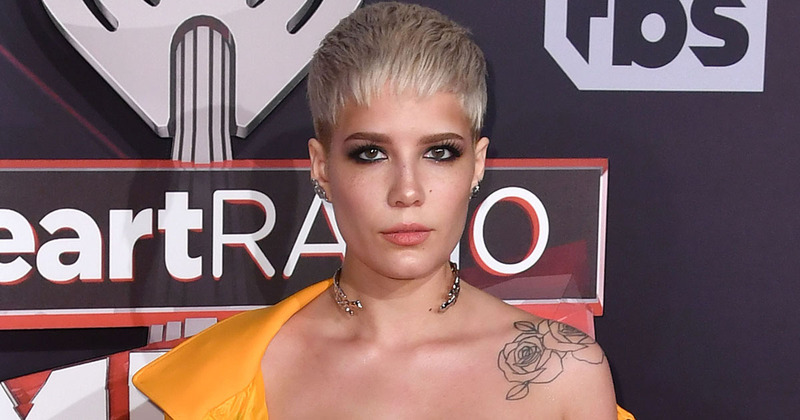 Speaking about how she equates songwriting sessions and writing music to “vomiting months of psychoanalysis,” Halsey said that she had gotten over the relationship. “I put the seal on that relationship and fully purged myself of the feelings for that person at the same time as I finished my record,” she said. Halsey, who recently gave some lucky fans an early taste of her new music, also spoke about what it was like to be thrust into the spotlight after appearing on The Chainsmokers’ hit track “Closer,” which was number one on the Billboard chart for 12 weeks. Meanwhile, Rolling Stone revealed that Halsey had been working with Greg Kurstin (Adele, Sia, Tegan and Sara), Benny Blanco (Katy Perry, Ed Sheeran) and Ricky Reed (Twenty One Pilots) on the album, and had written a stripped back ballad with Kurstin that she says was unique for her. We’re pretty psyched to see what Halsey has been cooking up, and can’t wait to get our hands on hopeless fountain kingdom when it’s released on June 2nd.